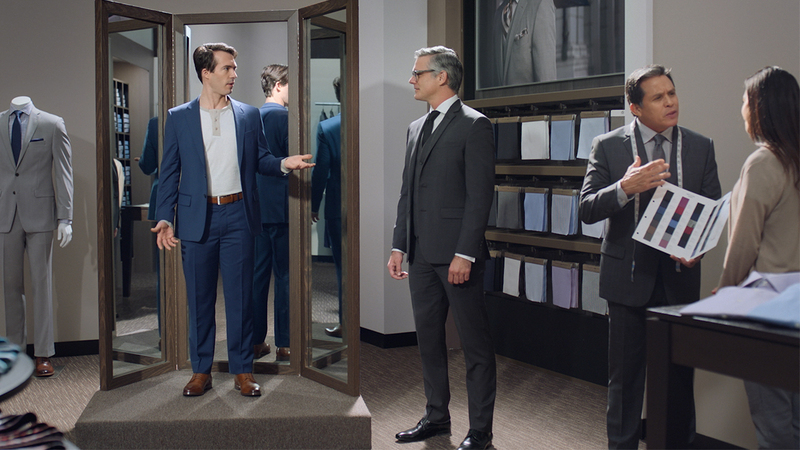 In 2017, The Men’s Wearhouse started on its transformational mission to supply men with the confidence needed for modern manhood via its refreshed “Like the way you look” campaign. The campaign focuses on delivering relevant solutions in the context of relatable moments for men of all shapes and sizes. Whether you have an interview and a date on the same day or you just don’t know the meaning of business casual, The Men’s Wearhouse has the answer you need. As the modern men out there evolve, The Men’s Wearhouse is evolving with them. 2018’s iteration of the campaign is all about dialing up brand relatability; injecting the message with even more insight, demonstrating its distinctive authority in menswear and providing solutions to modern men in a broader sense than just what to wear. The Men’s Wearhouse and Moores in Canada continues to invite men across the country to shop with confidence. It’s time to like the way you look.